John Boyd was born and educated in Queensland, Australia. 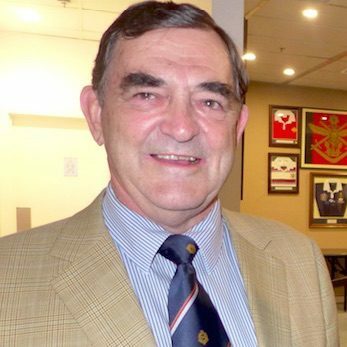 After studying Law at Queensland University, he started his career in the airline and travel business in 1970 with Qantas in Sydney. In March 1971, John joined SAS-Thai International in Sydney, and was involved in setting up its inaugural flight from Bangkok to Sydney. He spent 20 years with Thai working in Sydney, Brisbane and Melbourne and was actively involved in the start up of all of Thai’s Australian offices and services to and from Sydney, Brisbane, Melbourne, Perth, Auckland, Christchurch, Noumea and Cairns. During his time at Thai, John developed a wide knowledge of the Asia tourism industry. On leaving Thai in 1991, where he was Regional Manager, Sales & Marketing, Australia, New Zealand & South West Pacific, responsible for all passenger and cargo sales, John started his own company, Aviation & Tourism International- ATI, promoting and representing tourist facilities in Asia, Europe and South America. Today, ATI promotes airlines, hotels, transfers, tours & trains in key countries throughout Asia and South America. In January 2007, Thailand Convention & Exhibition Bureau (TCEB), appointed Boyd as its representative for Australia, New Zealand and South West Pacific, to promote Thailand as the major destination for the MICE markets.